Northwestern State University welcomed nearly 1,500 new students to campus during Move In Day Saturday, with dozens of volunteers from the university and community pitching in to get students settled into residence halls. 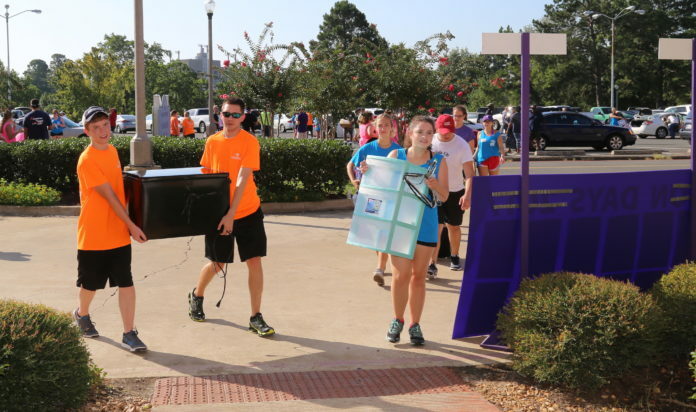 Move In Day kicks off Demon Days, a 42-day full schedule of activities to immerse students into campus life, service opportunities and NSU traditions. Move In weekend also features First Night Fest on the Green, New Student Convocation, the President’s Picnic and several meet and greet events. Classes begin Monday, Aug. 21.